In an age where we increasingly rely on our smartphones for work, for keeping in touch with what’s going on in the world, chatting with our friends and checking social media, absolute power is an absolute necessity. The sheer panic many people feel when their phone is running out of juice and the mad scramble to find a power source can now be a thing of the past. The Dubleup power bank, which is launching on Kickstarter on the 9th March, offers a truly portable solution to your charging issues. Being the same size as your average credit card, it can easily be popped into your purse or wallet so is readily available to charge your phone whether at work, on the move or whilst travelling. The ultra-light and ultra-thin design mean you will hardly know you are carrying it, no bulkier, heavy chargers weighing you down now! Dubleup is not only incredibly portable but also incredibly stylish and is available in a choice of gold, silver and black. It is available with either a built-in lightning connector for iPod and iPhone or a built-in MicroUSB for Android devices. With a capacity of 1280mAH, there is more than enough juice to give a dead or dying iPhone 7 (1,960 mAH battery capacity) sufficient battery life to last the rest of the day. The LED power indicator displays your battery level and charge status so no more flat battery dilemmas either. 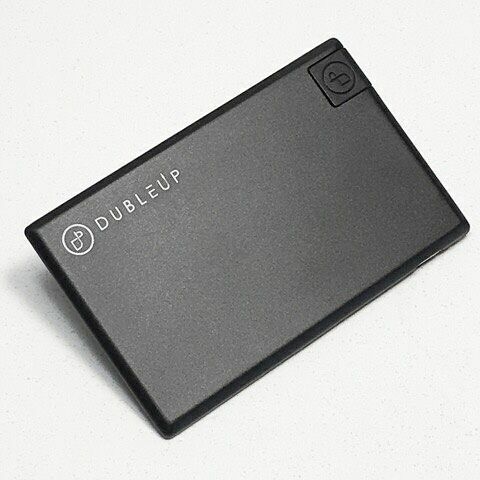 The power card has met worldwide safety approvals and is Apple Certified, so you can rest easy knowing that your device will charge safely when the power bank is operational and that all of your Apple items will be supported with Dubleup’s power bank. Don’t miss out on this stylish and portable charging solution, register your interest now on Dubleup.com and check out the Kickstarter page on 9th March and make your life a little lighter! Early Bird Offer! The first 6000 backers will be able to get their Dubleup for just $50 USD (Around £39.94). Thereafter the price is $59 USD (Around £47.13). Both of these prices will include shipping. £59 for a phone and a free phone service? That’s FreedomPop! The BenQ BL2405HT has both Flicker-free technology and Low Blue Light Modes allowing for both an approach to office and gaming in the one unit. 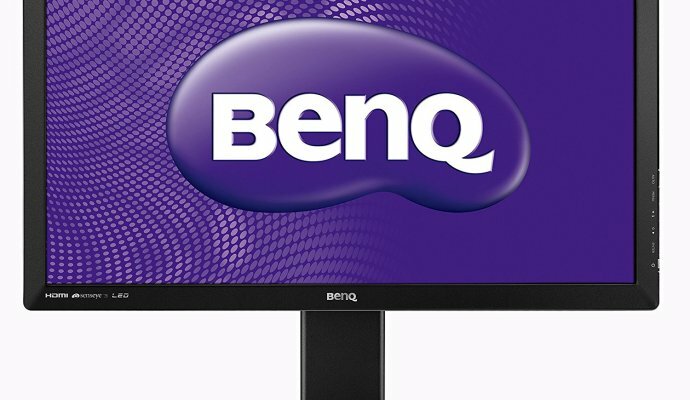 Priced at £130 the BenQ is worth considering if you do a bit of both. The BL2405 has a 2cm wide bezel all around the screen. This is a totally acceptable and non-offensive or obtrusive amount. Certainly, it adds a large amount of the width and height of the screen, however, given the size of the screen, the bezels a are not overwhelming in any way. Buttons have been placed on the right edge of the screen. Here we have a power on/off, a select “Enter” button, Up/Down buttons for use in the menu system and to control the volume and brightness. There is also a Menu button and an Auto function. The indicator of the Brightness down button is a sticker and it would see the inputs have been upgraded. Pressing the brightness down button allows the up/down buttons to control the brightness. After a timed delay, the brightness control is released and hitting the volume Up button allows the Up/down buttons to control the volume. Take a little getting used to however as most home computer operators will probably have speakers connected to their computers this saves having an extra two buttons and the brightness can monopolise the inputs. Here BenQ has an Ultra-Flexible Height Adjustment System (HAS) and it’s probably one of the best mounts for a desktop screen. Once attached, the screen has a full 11cm of vertical travel. Additionally, there is a very smooth 45 degrees of swivel and a twenty degrees of tilt. On the rear are a 3.5mm audio input and a second output, for headphones or desktop speakers. As for image inputs, there is an HDMI 1.4 port, a 24-pin DVI-D input and a D-SUB. One of the great features is that the Power Supply Unit (PSU) is internal so there is no power brick. Featuring a backlit 24-inch Full HD (1920 x 1080) LED TN panel with an aspect ratio of 16:9 the BL2405 manages a contrast ratio of 1,000:1 with a maximum dynamic contrast of 12 million to one. BenQ reckons the Pixel response time is roughly two milliseconds and there is a viewing angle of 170 degrees horizontal and 160 degrees vertically. Screen are continually tied to problems with eye-strain and BenQ have been taking steps to ensure their screen have the correct technology inbuilt to reduce common problems. The Low Blue Light modes a noticeably different to the standard settings however they take some getting used to whilst they do help eye strain. BL2405HT works well in bright environments with the impressive maximum light output. 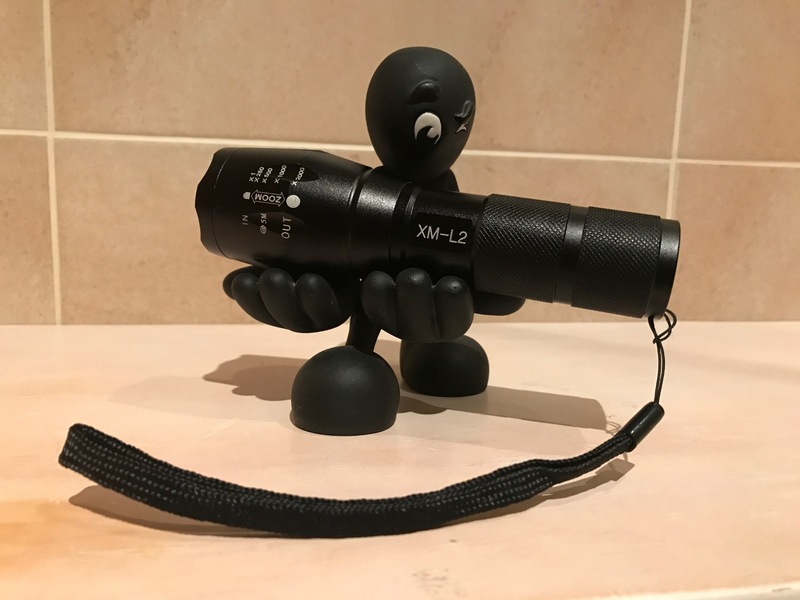 In darker conditions, the BL2405 suffered a little from light pooling in the corners however it really isn’t too much of an issue and can be overlooked given the price tag. A trained eye might pickup on a little corner bleed here and there, noticeable when gaming or watching a movie, however, it is not to the extent to ruin an experience. The screen works well as either an office panel or gaming/media consumption panel and most will find it perfectly acceptable. I honestly like this panel a great deal and using it as the main display on a secondary computer saw no faults or blemishes I would feel it was worth pointing out. 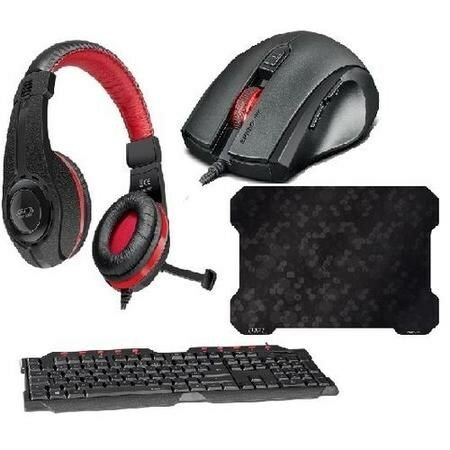 This is a solid screen for a very reasonable price and comes as an easy recommendation. Available on Amazon for around £130. Whats with the LG G6? Whats with the Huawei P10 and P10 Plus? Whats with the Sony Xperia XZs and XZ Premium? Whats with the Blackberry KEYone? Nokia 3, 5, 6, 8 This 3310 nonsense.But it has snake! Time for a change! Swap the standard black keycaps on your FERUS Gaming Keyboard in a flash – for fire-red gaming keys. They make those critical WASD and arrow keys really stand out, plus guide you so you always hit the right key when things get tense in the heat of battle. The keyboard also features 10 hotkeys for direct media player and Windows control so you can chat to your comrades-in-arms during the gaming session. With driverless plug & play functionality, a full-size key layout, plus height adjustment – this keyboard is incredibly easy to use and feature-packed. Locked and loaded for greater gaming glory! The CRIPT Ultra Thin Gaming Mousepad was born for breakneck, energetic gameplay. Experience superior control thanks to its incredible combination of precision, gliding area and sturdiness: a non-slip layer on the base, a chrome-effect layer sandwiched in between for maximum sturdiness, and a surface designed for ultra-fast gliding. Available in classic black or in a camouflage look, the CRIPT is a truly impressive accessory for optical and laser mice. 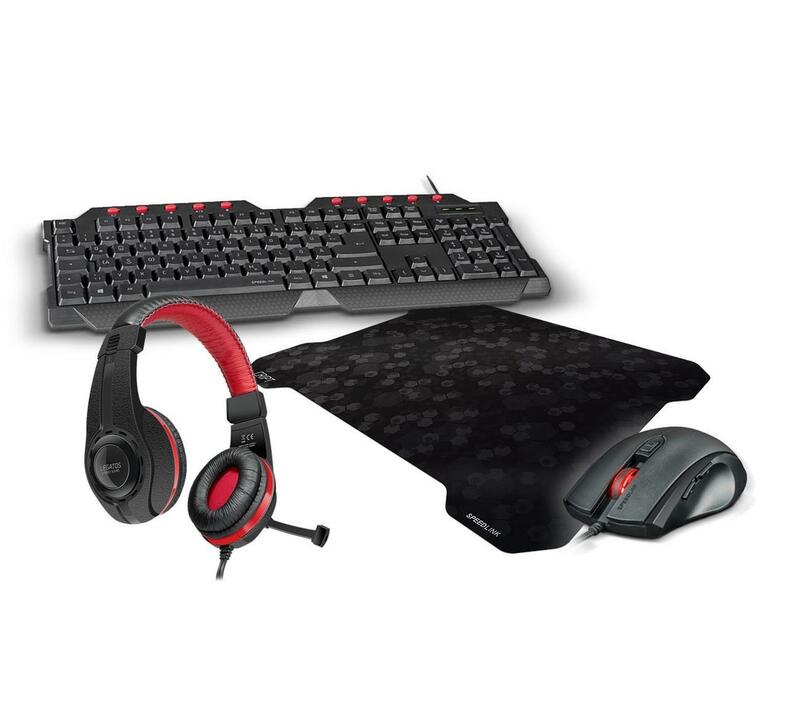 To enter, all you have to do is follow Tech Addicts on Twitter and retweet the following tweet: “RT I want to win a Speedlink Laser Gaming Bundle with @techaddictsuk. You could too: http://wp.me/p7q35G-Rg” You can also click the retweet link below to save you copying and pasting the phrase. Your twitter name will be entered into the draw. Entry is open until midnight on the 1st March 2016 and the winner will be picked on the March 2nd. High-quality Sony™ optic sensor for an optimal view and superior quality, especially in low-light conditions. Bright F1.8 lens This results in brighter and clearer videos, even in low-light conditions. 3-Axis G-Sensor When the G-sensor detects sudden motion, MiVue will save and lock the event recording to protect it from being deleted/overwritten. The integrated 3-axis Sensor records G-forces, which show the direction and force of accident impacts. Auto power on starts recording when you turn the key to start your car. You can even choose to have the device always on a recording, which is possible in vehicles with constant power supplies. MiVue Manager Intuitive interface allows you to browse recorded videos with speed control. Records your driving directions with a 3-axis G-Sensor for post-accident analysis. Combine videos and share them to social media sites like YouTube™ & Facebook®. Track your routes with the GPS receiver. Play video with tracks on Google Maps. Currently, the camera is on sale for £114.99 through the Mio website and for that price, it comes as a recommended purchase. Network branded mobiles have always had a bit of a stench to them. Back in the day T-Mobile and Orange produced an almost endless line of MDAs and SPVs manufactured by good companies like HTC or ZTE yet hampered by Network tinkering. Removing buttons, bands, features and tinkering with the software to make the OS a Network experience rather than a Microsft or Google experience. In short, they are days best forgotten. However, if the Vodafone Smart Platinum 7 is anything to go by they could be resurrected but for the better! The Smart Platinum 7 is a £300 smartphone built by Alcatel. Don’t let that put you off, Alcatel is making some top notch devices! Just ask Blackberry. Whilst it might be £300 Vodafone is going for a premium user experience. Looking around the device there is a generous 5.5” display with 1440 x 2560 pixels. A pair of front facing speakers are positioned at either end and a front facing 8-megapixel camera is hidden in the inky black bezel. The screen is thankfully built of 2.5D Gorilla Glass front and the sides of impressively metal with chamfered edging that really makes the phone feel luxuriant in the hand. A deeply impressive build! On the top are a 3.5mm headphone socket and a small hole for a microphone. At either end is a visible antenna. The bottom also has a small hole for a microphone and two notable antenna points however off centre is a MircoUSB socket. This phone is over 6 months old and therefore launched before the USB Type-C revolution. On the one side, there is a rough textured volume rocker and a power button. These buttons are of not as they give a satisfying click when pressed and you are centre you have pressed one. The rough texture is especially useful to guide your thumb to ensure you are pressing the right button. A great addition. On the other side is the SIM card tray. The device takes a Nano-SIM and a MicrsoSD card. Unfortunately, there is not dual SIM setup up. The microSD allows for an additional 256GB of storage to expand the phone’s built-in 32GB. Above this is a dedicated camera button, configurable in the settings. From the standby mode, two taps of this button bring you straight into the camera and you are good to go, press the button to take a snap. The button is small and not as easily pressed as the volume and power on the other side. There is a lower grain texture on the camera button. On the rear of the device, there is a circular fingerprint scanner, just below the camera lens. Given the level of effort put into the side buttons, I was surprised to find the fingerprint reader is a little bit difficult to find as the ring around the sensor is quite subtle and does not protrude from the rear. The scanner is perfectly acceptable, no issues with misreading fingerprints or slow operation. Above this is a larger protrusion for the 16 Megapixel camera and there is a small LED flash to the side. The back has a glass surface again that is rather slippery, especially on a cold day, without a case, you will drop this. Under the glass is a light pattern and a Vodafone logo has been added. The instant you pick up your Smart Platinum 7 you will know this is a premium phone, however, is materials used are a cause for concern and whilst if feel fragile due to the slippery feel it also shows all kinds of fingerprints and grease. So have a case and a cloth at the ready. The 5.5-inch, QHD AMOLED screen is gorgeous. At 1440×2560 the resolution is outstanding as the PPI hits 534. Icons, wallpapers and media pop on this screen with exceptional clarity and sharpness. The rest of the colour palette is bright and vibrant, reds standing out, in particular, making Vodafone logos striking and impressive. The phone operates as one would expect, and thankfully there isn’t too much bloat from Vodafone. Certainly, there are some tutorials for how to use certain features and whilst they are incredibly basic there is no doubt someone, somewhere will find something of use. At any rate, you are given a skip option anytime a new tutorial appears. Unfortunately, the Smart Platinum 7 is still running Android 6.0.1 Marshmallow. Whilst Nougat obviously hasn’t’ reached the majority of recent phones Marshmallow is better than what we could have seen. A little digging suggests Vodafone may update the firmware, but then again, maybe not. Marshmallow is still rock solid and only time will tell if the phone will get an update. A non-removable Lithium-ion 3,000mAh battery keeps things going through the day. Thanks to the lower powered processor this will see the average user through the day, easily. Power users will notice that they can get through more than before, or, if you like, a power user will probably put this on charge later in the afternoon than an S7 or 6P. The Vodafone Smart Platinum 7 has an octa-core Qualcomm Snapdragon 652 with 3GB of RAM. This arrangement keeps things skipping along nicely. The Snapdragon 652 is the updated version of the 620 and whilst not as powerful as an 820 in some other devices around this price point users will notice a big power saving. Both AnTuTu and Geekbench captured some decent scores. Of course this will not mirror the S7s out there, however, the Smart Platinum 7 can hold it’s on. The camera is simply average. In idyllic conditions, shots are perfectly acceptable however if you try outside of that the optics try, but just can’t manage to deliver to goods. It tries but fails. One big plus is that the camera is astonishingly fast to take a picture. You press the button and the picture is taken, in Auto mode. No fiddling around with focusing and lighting. If just happens and the results (in idyllic conditions) are good. The front camera is capable of shooting usable selfies in decent light. Club rats will be sad to hear it’s not stellar in low light, even with the front LED flash. With the flash off shots are pixelated and close to unusable in low light. With it on, while usable, people and objects are too bright and lack detail. Being fair to Vodafone this is an issue I see on close to all phones’ front cameras. Video recording is a little odd, the camera app doesn’t have any manual controls for video recording, meaning the phone will shoot at 2160p resolutions at 30fps. A steady hand is required as there does not appear to be stabilisation. The microphones prove to work quite well and pick up wind, conversations and unhappy children. 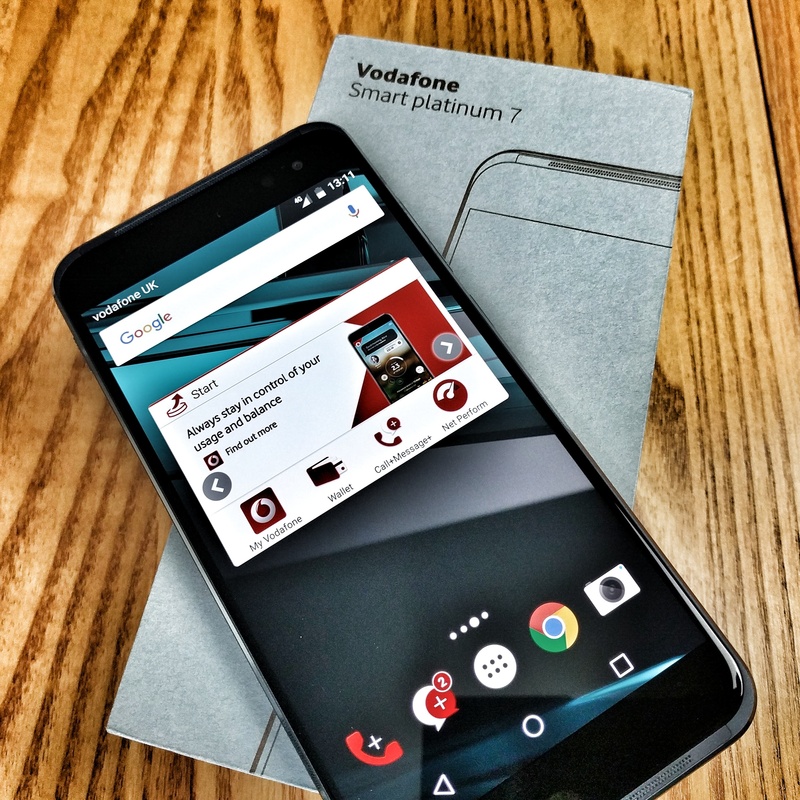 In all the Vodafone Smart Platinum 7 is a serious contender. Like most phones it’s almost perfect, marred by a handful of flaws.Even at this, some of those flaws are easily overcome or may not apply the user. For £300 this is a terrific offering and Vodafone have really put together a superb package. Whilst the camera might be a weak outside of its comfort zone the vast majority will make the most of what this phone has to offer. An excellent phone, just buy a case! 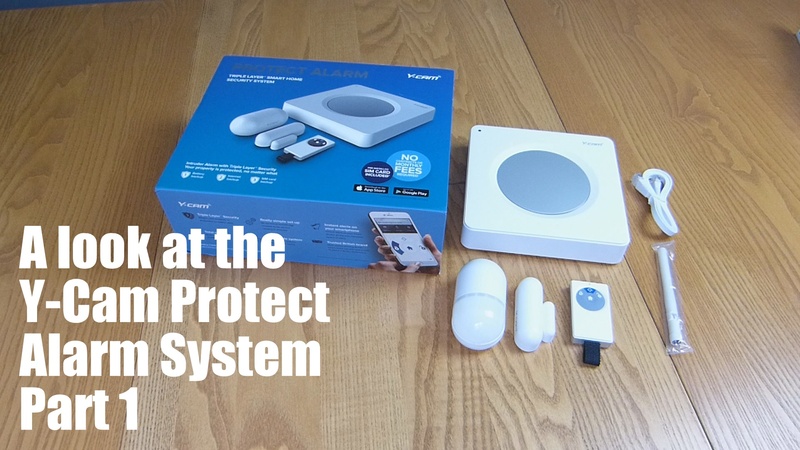 Featuring a Triple Layer level of protection, Smart Home Security System is an Internet-connected smart alarm for £150. 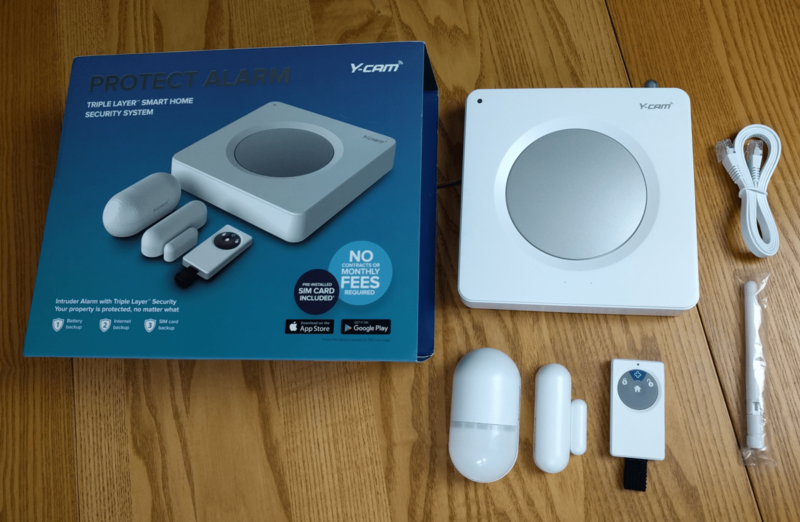 With compatibility with Android and Apple devices, you can monitor the system whilst on the go utilising smartphone applications.